Shopping for clothing for Adalyn is easily one of my most favorite things to do. There are just so many cute clothing options out there for little girls. I recently found an Etsy shop called Olive & Birdie. It is run by Christina Kondret. Her site features all different glittery onesies for babies and toddlers. We were sent some of the following onesies. I love this pineapple onesie for Adalyn! It goes perfect with her all gold ensemble that she is wearing above! 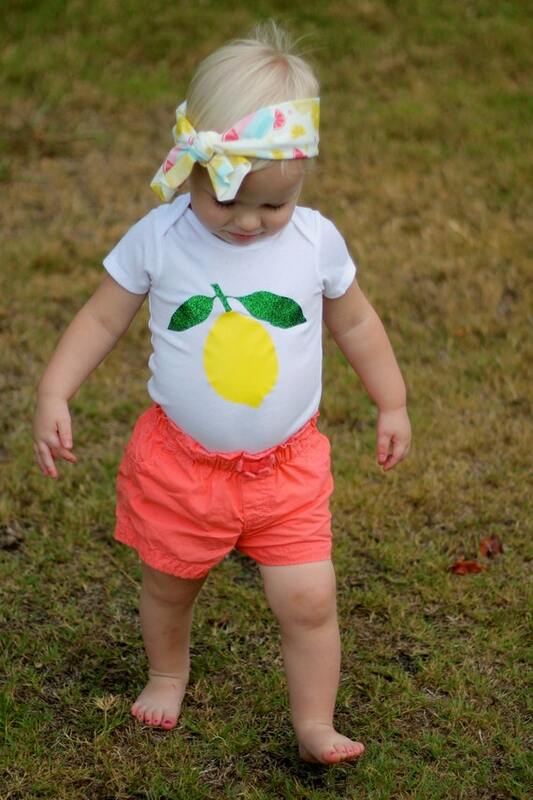 I chose this lemon outfit for the summer which will be super cute! My favorite item that I was sent is this deer onesie!! My husband, dad and brother are all hunters and this will be adorable for her to wear this coming hunting season. For Adalyn's one year birthday (don't come too soon!! 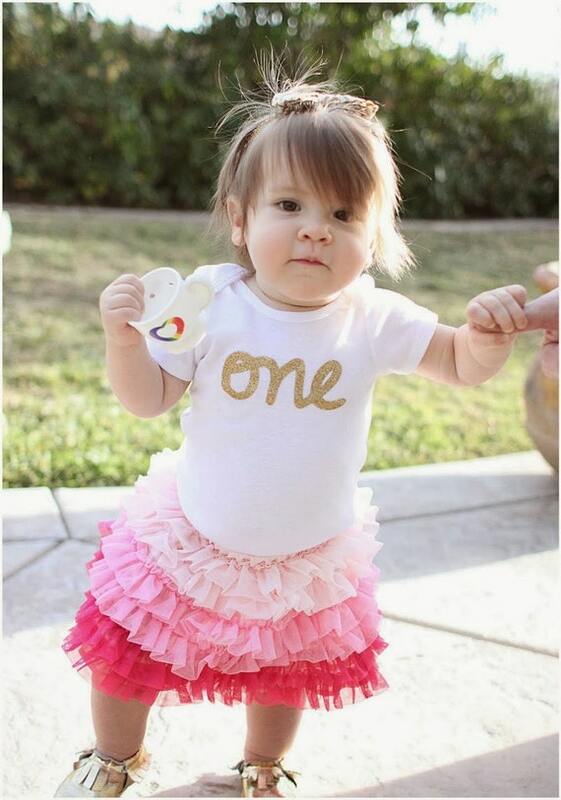 ), she can wear this bodysuit which says one on it. For these onesies, you can choose either long sleeved or short sleeved and they are Carter's brand. The onesies are soft and look great! Most of the items from the Olive & Birdie shop retail for $18-20.